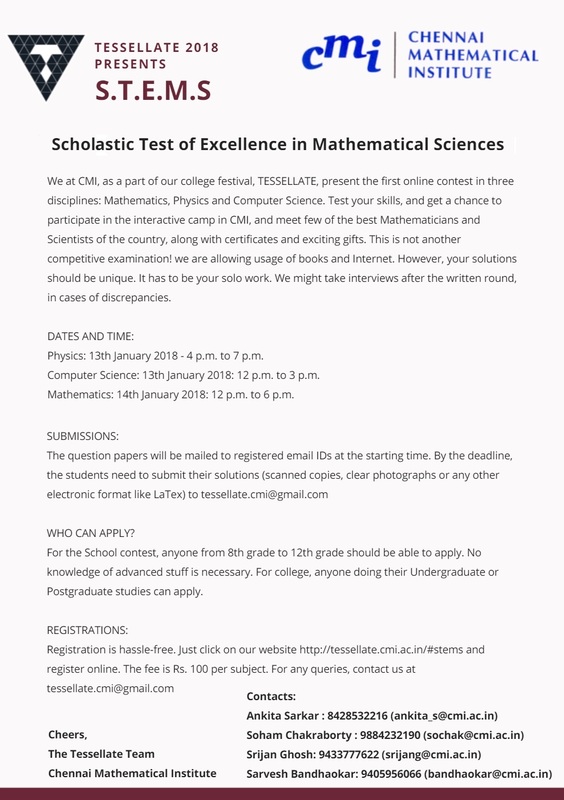 Chennai Mathematical Institute (CMI), a premiere center for research and education in Mathematical Sciences, is organizing a nationwide (India) Mathematics, Physics and Computer Science Contest, the **S.T.E.M.S**, as a part of the college fest Tessellate. By participating in S.T.E.M.S, you get to show off your Mathematics/Physics/Computer Science skills at a national level. And have the chance to attend a Science Camp at CMI, where you'd meet some of the finest mathematicians and physicists in the country, not to mention the gifts. The camp will feature some of the best Mathematicians, Physicists and Computer Scientists from some of the best research institutes in India, like CMI, ISI Bangalore, IMSc, IISc and the IIT's, etc. (The complete list of speakers shall be uploaded soon.) CMI shall provide travel fare, food and accomodation for the selected participants. Students from all age groups will have fair representation. 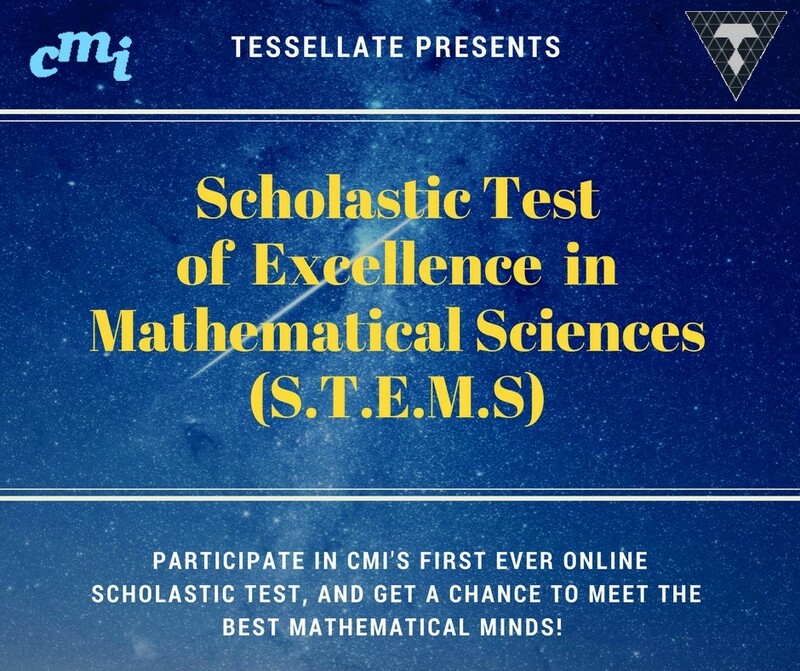 It promises to be a great opportunity for the students to interact with CMI-ites and get an insight about college mathematics and college life(probably in that order, though). The camp shall also feature student talks from students of the aforementioned institutes. They shall also receive certificates signed by some of the best mathematicians of the country, books and other prizes. The top 100 participants shall receive certificates of participation.